Buy Cream Contour makeup online at Boozyshop, the makeup webshop that makes online cosmetics shoppng fun! Contouring and shaping is unthinkable from beautyland! It is also not for nothing that celebrities like the Kardashians and Huda Beauty process the cream contours in their daily routine. The application of cream contour ensures that you can shape your face in a natural way so you can emphasize the desired facial contours. Yet contours with cream products is more difficult than it seems and requires a reasonable amount of practice. At Boozyshop you will find a large assortment of cream contour, so that there is always a product that suits you! Cream contour is becoming increasingly popular among the makeup freaks. The application of shadows and highlights in the face has never been so beautiful and natural as with cream contour! By contouring you can emphasize the desired parts of your face with a lighter concealer or create shadows with a darker color. With this technique you can make a round face look a little smaller and make a somewhat longer face more compact. 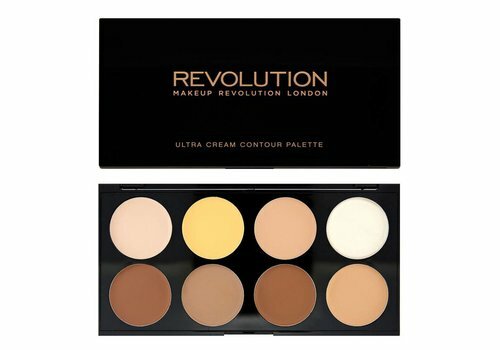 As a cream contour you can use concealer, a cream contour palette or contour sticks. More than enough choice! Cream contour ensures that you get the best out of your face. The application of cream contour does need some exercise and therefore it is important that you know well at which places you have to apply the cream contour exactly. During the cream contours you apply a color that is one to two shades lighter than your own skin color to highlight the parts in your face where the light falls on. Often the concealer is applied under the eyes, on the chin, just above the lips, on the nose bridge and on the forehead. With a darker color you can create shade in places where you want to create depth. This tint is often applied under the cheekbones, under your jawline and on your forehead along your hairline. Would you like to go the extra mile? Then you can also contour the sides of your nose with a darker color, so that your nose will look more and more narrow. One of the most important steps in the contour process is blending the cream contour. After applying the product there are different stripes on your face. To make this as natural as possible, you can best blend the product with a contour brush or beauty blender. Have you been too enthusiastic by accident and have you applied too much dark contour? Do not worry! With the concealer color you can perfect the dark parts or fade slightly. 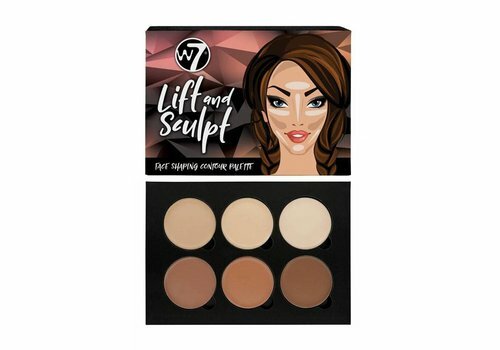 Shop your favorite contour makeup at Boozyshop! Can you wait no longer and do you want to start shaping your face as quickly as possible? Have you placed an order above 30 euros? You will receive a free gift with your order. Do not wait any longer and go for a beautiful look!